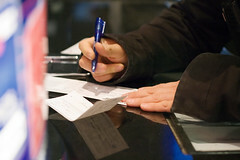 Home » FILING YOUR TAX RETURN » Can’t Pay Your Tax Bill? For more information about the Fresh Start initiative, installment agreements and other payment options visit www.irs.gov. IRS Publications 594, The IRS Collection Process, and 966, Electronic Choices to Pay All Your Federal Taxes, also provide additional information regarding your payment options. These publications and Form 9465 can be obtained from www.irs.gov or by calling 800-TAX-FORM (800-829-3676). By Stacie Clifford Kitts in FILING YOUR TAX RETURN, IRS, PAYING YOUR TAX on September 29, 2011 .